Hawai’i Island Police have charged a Puna man following a reported threat that occurred at a residence in Hawaiian Acres at the beginning of February. On Friday, (February 1), a Hawaiian Acres couple returned to their home and discovered it had been burglarized. While awaiting police to respond, a late model silver Ford F-150 pickup was observed pulling into the driveway of the property. Upon the victim going over to check on the occupants of the pickup, he was confronted by the male driver who brandished what appeared to be a firearm and verbally threatened the couple before fleeing the area in the vehicle. 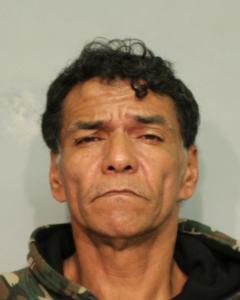 Officers from the Criminal Investigations Special Enforcement Unit, (SEU), conducted a further follow up investigation into the incident, which was classified as terroristic threatening and were able to identify Peleiholani as the suspect. On Thursday, (February 7), South Hilo police conducted a traffic stop on the silver Ford F-150 Peleiholani was operating and he was subsequently arrested for unrelated traffic offenses, with the truck being recovered as evidence. Detectives later served a search warrant on the pickup and recovered a replica firearm from within the cab area. After conferring with Prosecutors, Peleiholani was charged on Friday, (February 8), with Terroristic Threatening in the First Degree, with bail set at $5,000. He is currently being held at the Hilo cellblock pending his initial appearance in South Hilo District Court today, (February 11).